Kirva is the Hebrew word for closeness. The Kirva Institute is dedicated to bringing people into closer, healthier relationships with others, themselves and God for the sake of the repair of the world. Through consultation, practice groups and curriculum development Kirva engages people in processes that deepen self-awareness while strengthening connections with others and God. 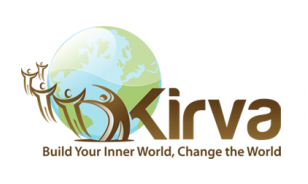 Read more about The Kirva Institute here. Excited to delve more into Rabbi David’s book? Hosting a book group or discussion about Changing the World from the Inside Out and looking for some guiding questions? Explore these resources for unpacking some of the key concepts. Want to learn more? Watch Rabbi David’s “Truth as Spiritual Practice” webinar with the Institute for Jewish Spirituality. And, stay tuned for upcoming webinars!